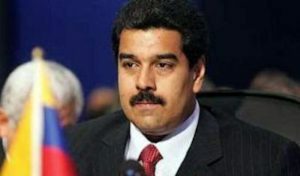 Venezuelan leader Nicholas Maduro. Courtesy photo. Venezuelan President Nicolas Maduro on Thursday accused opposition leader Julio Borges of treason for embarking on a European tour to rally international powers against Caracas. Borges who leads the National Assembly that Maduro effectively shut down by creating a new Constituent Assembly in July has held meetings this week with the leaders of France, Spain, Germany and Britain, with Prime Minister Theresa May on Thursday pledging her “unwavering support” for the opposition. “It makes no difference to me what Merkel says or the queen of England, in Venezuela we have justice. We don’t take orders from London, or Madrid, or Washington,” he told the new legislative body. The leftwing leader, who weathered a wave of protests from April to July that left 125 people dead but is facing a growing economic crisis, added that Borges must be tried for “treason to the fatherland,” a crime punishable by up to 30 years in prison. Legal actions have intensified against members of the opposition since the Constituent Assembly was sworn in on August 4. The body has created a “truth commission” to investigate several leaders for treason. Maduro accused Borges of conspiring with US President Donald Trump, who recently imposed tough new sanctions on Caracas. The Trump administration has denounced Maduro as a dictator. These sanctions bar US banks from trading in new bonds issued by the government or the state run oil company PDVSA. 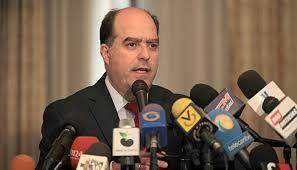 The goal is to restrict Venezuela’s access to vital bond and equity markets.